Phone was dropped in water and screen is all black but the phone does turn on but I have a picture passcode that I cant draw due to the screen not working. Have about 50 photos on there that I would really like to access. When plugged into a computer, the phone is recognised but cant access it due to the passcode lock! My Iphone 7 is completely dead – won’t turn, respond, charge, reset etc. Slowly started breaking (lost service, then home button wouldn’t work, phone acting slowly, then turned off and died). I usually back everything up to I cloud but for the past 7 days I didn’t have access to wifi so the phone was not backed up. I was just wondering if there was any way that I’d be able to recover the photos from the past week at all? Obviously there is a past code on the phone which is unresponsive which may make it worse. Please let me know if this is possible. Deleated ex messages recovered how much would I cost? My I phone screen smashed and and is water damaged. I didn’t back up my I phone onto i cloud and since the screen is damaged I cant click on ‘trust the device’ in order to connect it to my computer to retrieve my files 🙁 . any solution? 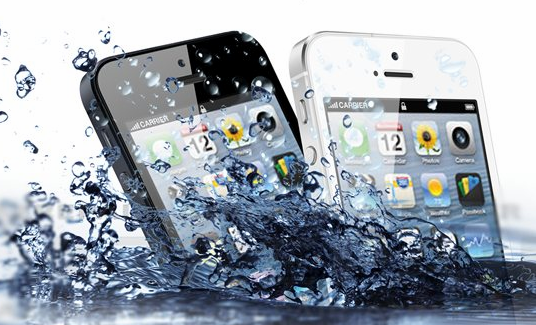 Note: Water damage is not covered by your Apple warranty and neither is data recovery – see https://support.apple.com/en-gb/HT204104. If you want the data you’ll need to find a phone recovery specialist like http://phone-recovery.pen.io/. I dropped of my I phone 6s to the Birmingham drop of point. The lady at reception said she couldn’t send my phone to you as she said she had not yet received the boxes for posting. So I was just wondering when my I phone shall arrive to you? Would it be possible for you to send me a confirmation email also regarding my phone? My iPhone 5 is damaged beyond repair. There is an issue with the display which means when I connect to my laptop to recover my data I cannot see the screen to “trust” the laptop. I would like to know if it is possible to recover my notes, photos, contacts and whats app messages? I have an iPhone 4s that is stuck in recovery mode and will not perform an update. It would not update prior to recovery mode because there was not enough storage space. The only option it is allowing is a restore. However, I have not backed up the iPhone in iTunes or iCloud for approx 2 years, therefore would like all my data, mainly photos recovered, so that I can restore and begin using the iPhone.